Plants are the essence of any landscape and they are as varied as the people who enjoy them. From the spectacular maples that emblazon the roadways in the fall, to the blankets of blue phlox that announce the arrival of spring, Michigan's plant palette is delightfully vast. At Miller Landscape, we choose the plant material for your landscape very carefully and consider many important factors in making our recommendations. Too often, we find consumers on their own, choose plants solely on the basis of what they look like or the "great deal" offered by a local retailer. Sadly, many end up discouraged by shrubs that don't thrive or bloom, perennials that invade other plantings, and trees that simply die. The horticulturists and designers at Miller Landscape offer you the peace of mind of knowing that your investments in plant material will be wise ones and that you will truly be able to enjoy watching your landscape mature in the years to come. 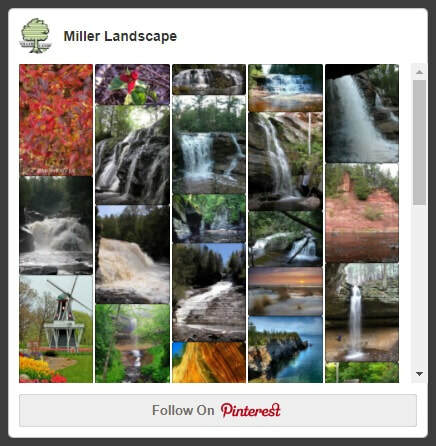 Follow us on Pinterest for more landscape planting ideas!